In early April, I had a pedicure and chose to have my toes painted a beautiful, bright, coral color in an effort to force summer to arrive. I then proclaimed to my husband that said toes needed to be displayed on a beach somewhere. I sold this as a package deal since our daughter is a senior at Ramstein High and Spring Break was the next week. We could go to Croatia, I said. We could drive to Venice where we would purchase some wine to bring back and then drive our Jetta (a diesel) the extra 2.5 hours to Pula, Croatia. This part was important in my proposal because it would allow my husband to assess gas mileage consumption (which is apparently something husbands love to do). He agreed and Voila! 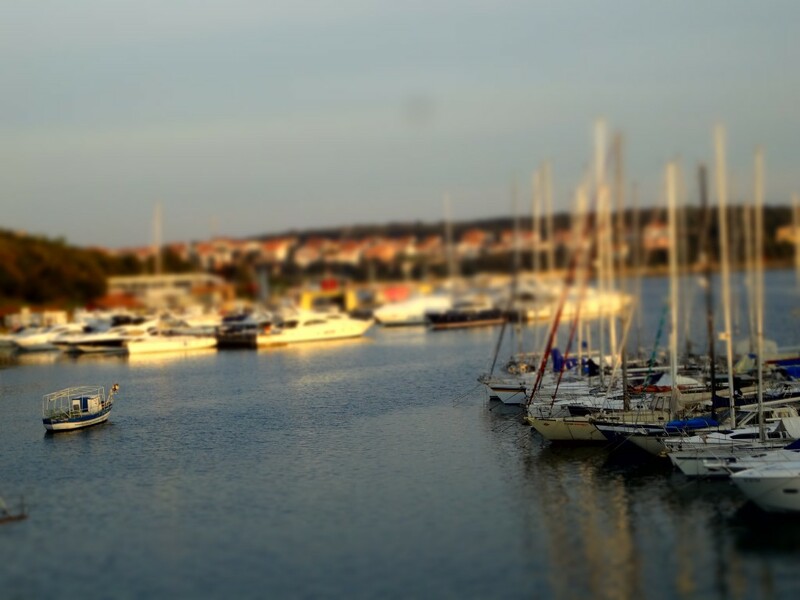 Ask and you shall receive….two days in Croatia. My husband has been to Croatia several times. He actually got his rescue dive certification there when he was working at Aviano Air Base. I have been once before with him (on the back of a Harley), so we had an idea of a couple of places that we definitely wanted to re-visit for this quick trip. We arrived in Pula just in time for lunch. We had pre-booked a resort overlooking the marina. 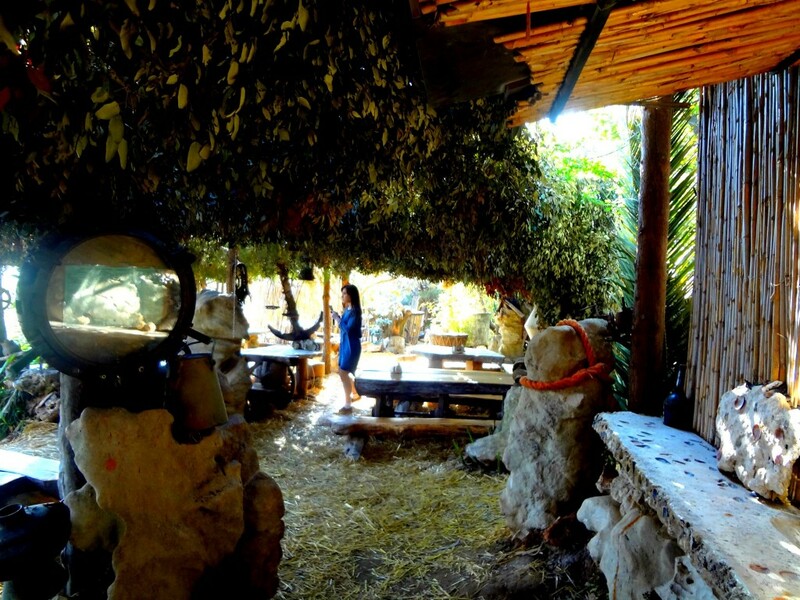 We quickly unpacked the car and took off for the Safari Bar in nearby Premantura. 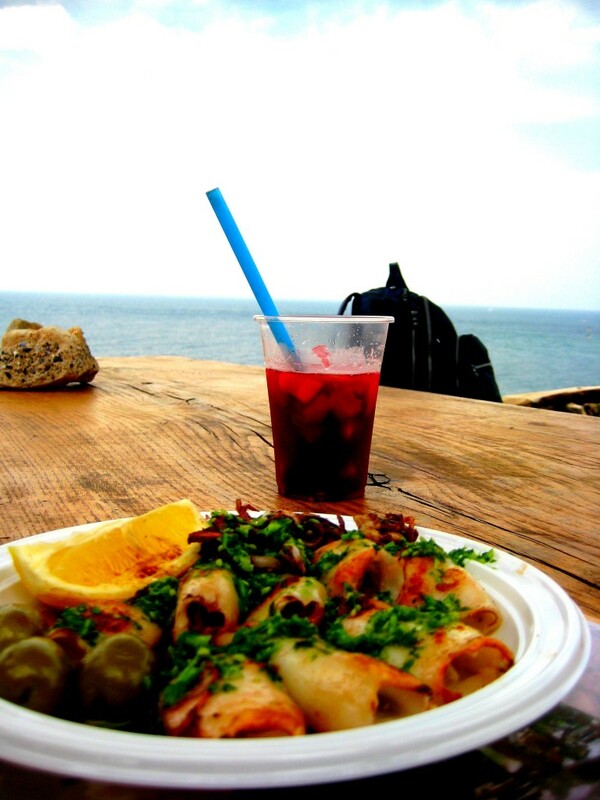 The Safari Bar is our favorite place for grilled calamari and sangria, and you absolutely cannot beat the atmosphere. It is literally a playground for young and old that is built into the side of a cliff overlooking the Adriatic Sea. You can’t get much more dramatic than that. 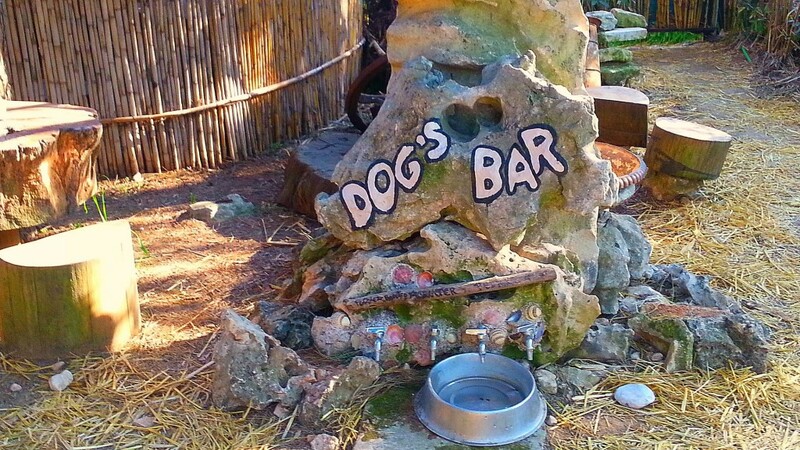 They even have a Doggie Bar!! 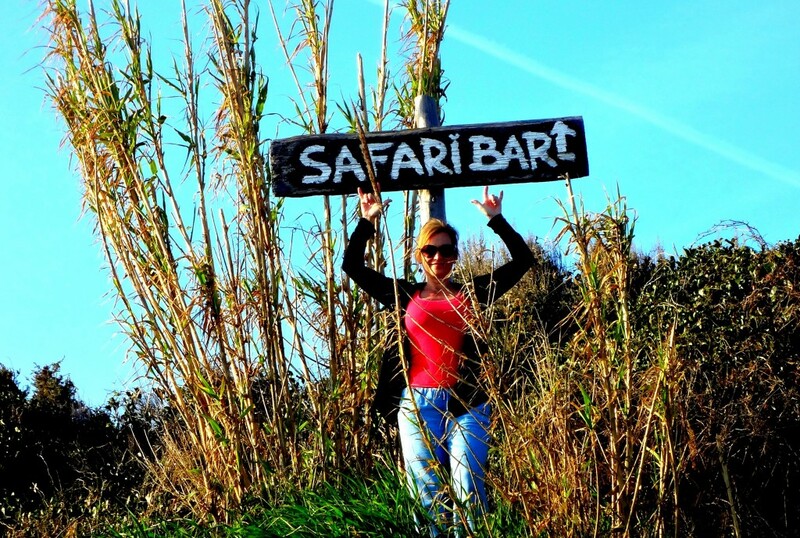 The Safari Bar isn’t exactly easy to find. It is literally on dirt roads and is part of the nature reserve at Kamenjak National Park. Head first for the village of Premantura and you will see a road that continues south to Kamenjak. Three miles short of the peninsula’s tip, a manned barrier marks the beginning of the nature reserve. 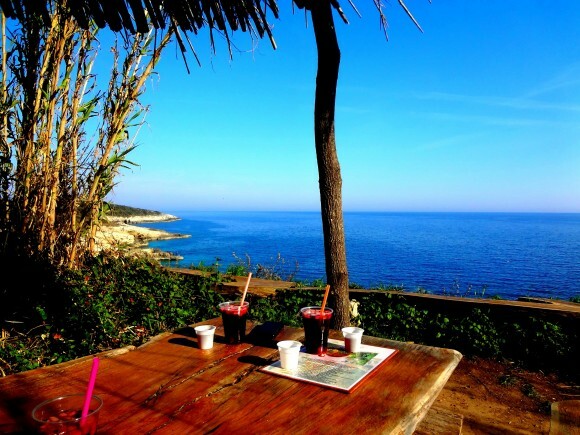 Here you will have to pay an entrance fee of 30 Kunas or approximately 5 Euros before continuing along a gravel road. There are no formal parking areas and depending on the time of year, you might have to squeeze your vehicle into an available piece of empty ground once you arrive near the tip. In route to the Safari Bar from Pula, you will notice some water on your left. Going across that water you will see a barrier with a walkway and you will think to yourself “that looks like a cool, yet relatively unsafe, bridge”. 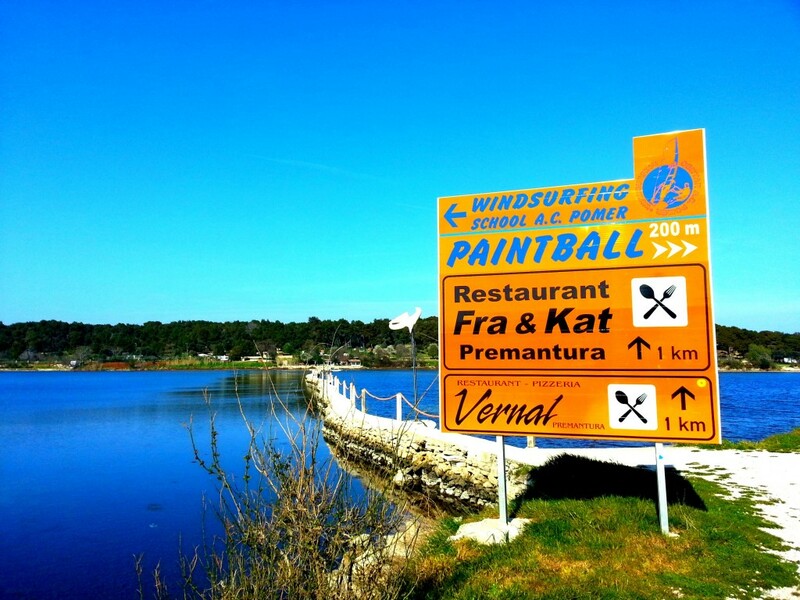 Do yourself a favor and park there where you see the big yellow sign that reads “Windsurfing School” and “Paintball”. Take a deep breath and walk across that bridge. You can thank me later. There is a restaurant (which we have eaten at a few times and still do not know if it has an actual name) just beside the water. The owner’s name is Tia. We have discovered that if you ask Tia to cook for you on the following evening, she will prepare whatever fresh seafood you desire. Alternatively, you can just show up around 6 p.m. and she will serve you the fresh catch of the day. Usually this is some sort of grilled fish and it is mouth-watering. You’re welcome! Our second day in Croatia and our only full day, we decided to spend taking in some historical sites around Pula and then drive to Rovinj for a late lunch and walk along the water. 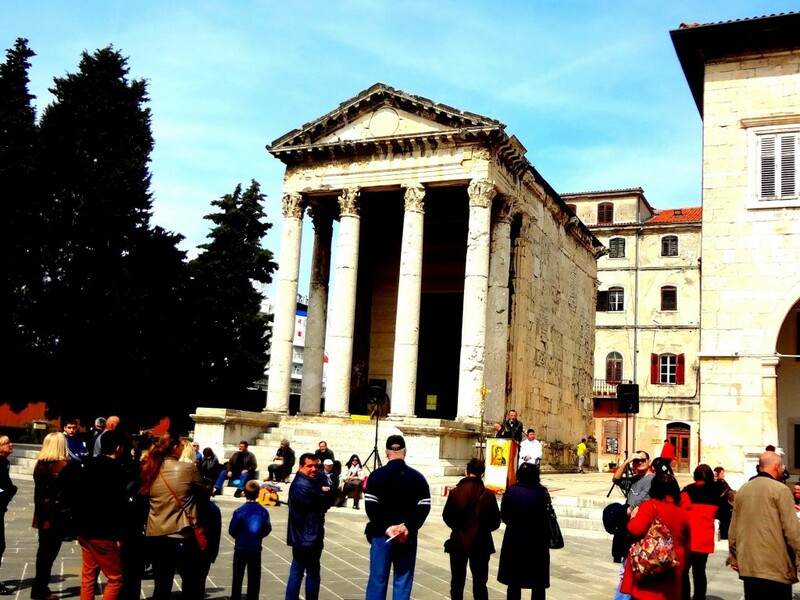 Pula has some great sites for the history buffs out there. The most famous and important monument, the starting and ending point of most sightseeing tours, is the Amphitheater, which is called the Arena of Pula. It was built in the 1st Century AD and is currently the venue for many summer performances. The underground passage once used by Gladiators now holds an exhibition of machines that were used for the production of wine and olive oil. Second on our walking tour was the Temple of Augustus. While we had planned to visit the inside of this church/museum, there seemed to be some sort of ceremony taking place on the steps and we felt it rude on our part to disrupt whatever was happening. It would have been a handy time to speak the local language. Lastly, in Pula we stopped to take a few pictures in front of the Triumphal Arch of Sergi. This Arch was part of the old city walls and leaned against the city gate Porta Aurea. The gate and the wall were pulled down in the beginning of the 19th century because of the city expansion outside the city walls. Today numerous cultural performances, both theatrical and musical, are held in the square next to the Arch. This walking tour (unguided, unless you count me of course) only took us two hours! 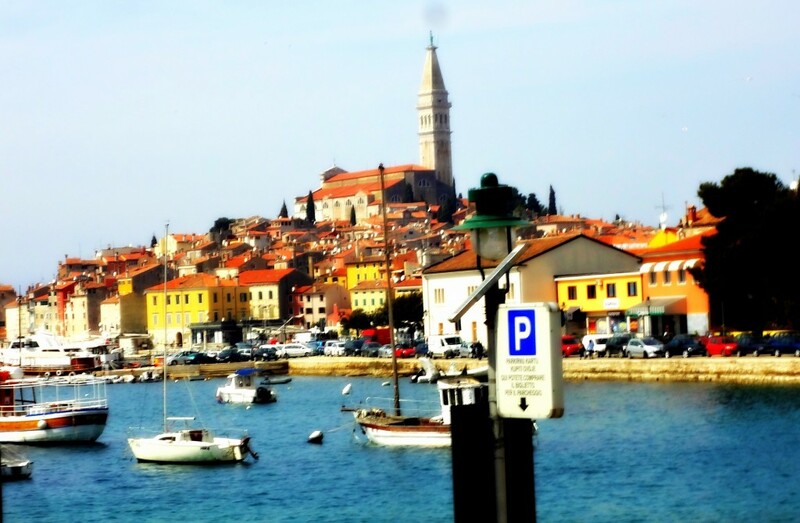 The drive to Rovinj (Rovigno in Italian) is around 30 minutes. Normally, when we see a sign for “wine tasting”, well…we stop. 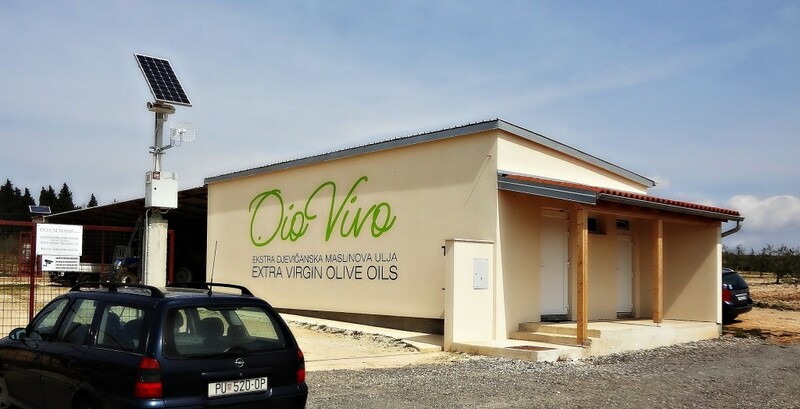 In Croatia, you see similar signs for “olive oil tasting”. So that’s what we did. We stopped at Oio Vivo and were given a very personal tour from one of the owners. 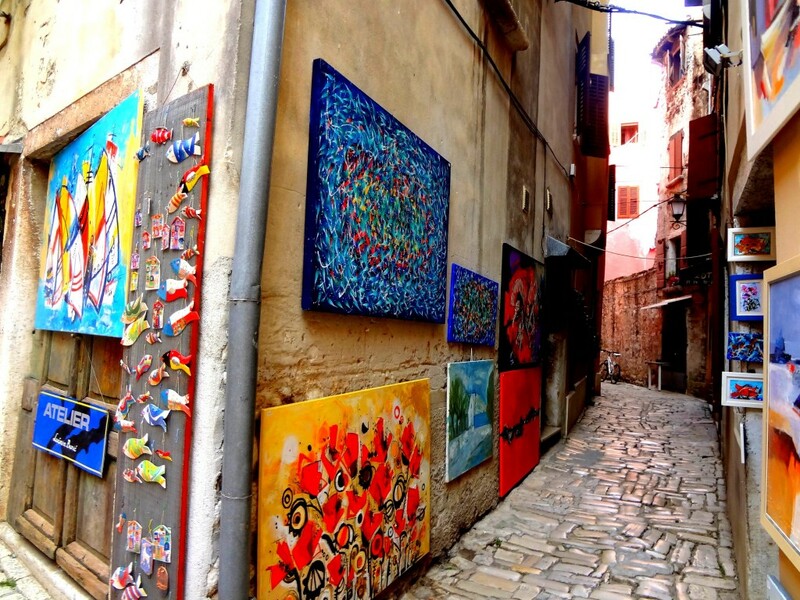 Rovinj is coastal Istria’s star attraction and can be overrun with tourists in the summer. 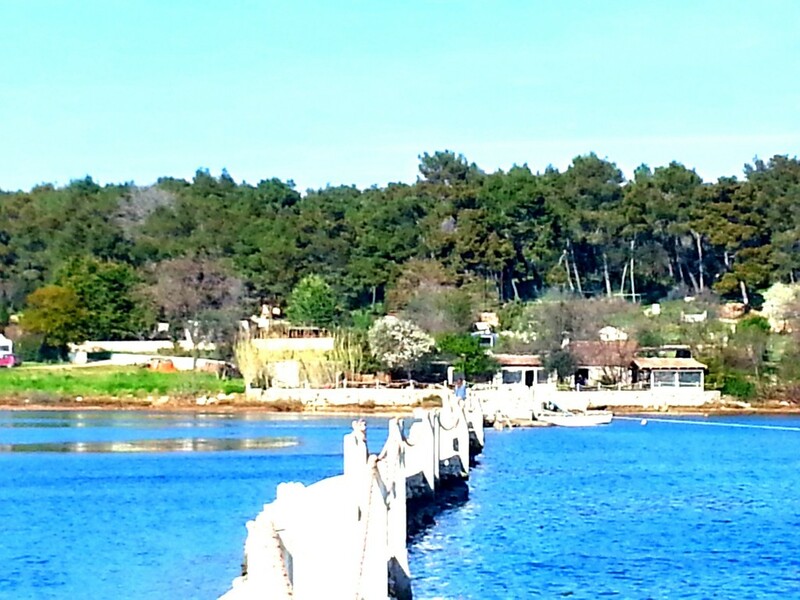 It is a lovely village that remains one of the last true Mediterranean fishing ports. Fishers haul their catch into the harbor in the early morning. Prayers for a good catch are sent out from the massive St. Euphemia Church that stands dominantly on the peninsula. 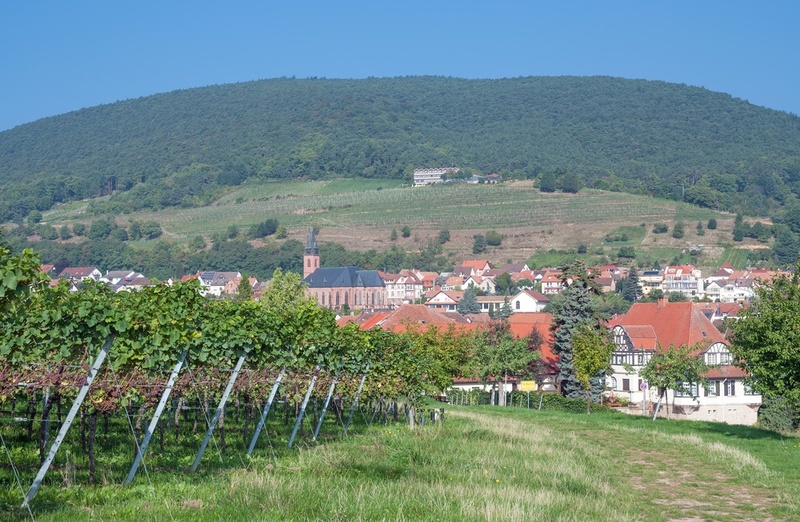 This village is a quaint old town webbed with steep cobblestone streets. For me it is one of those places that draws me in and makes me never want to leave. It gives me a sense of walking back in time. It was the perfect place to enjoy a leisurely lunch, take a stroll through the village shops, and top it off with gelato. There is so much more show and tell from Croatia, but we only had two days for this trip. I do know that Ryanair flies into Pula from Frankfurt Hahn for a very reasonable fare, so I am thinking our next trip will last a bit longer. By a vehicle Pula, Croatia is approximately a 10 hour drive southeast of Kaiserslautern, under a 10 hour drive southeast of Wiesbaden and 8 hours and 20 minutes southeast of Stuttgart. Ryanair offers flights from Frankfurt Hahn (just over an hour from Wiesbaden and the KMC) to Pula and Zadar from €9.99. Unfortunately they only fly out twice a week so you will not be able to go over the weekend.